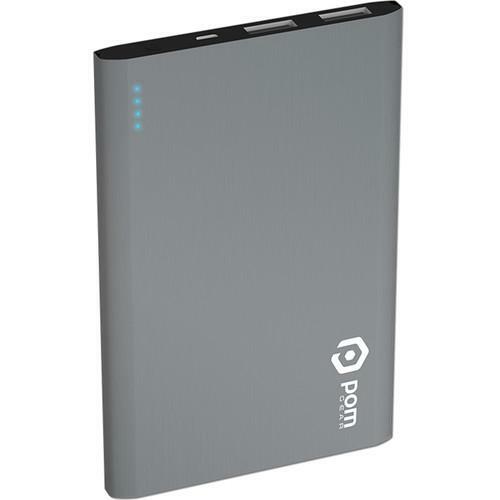 We recommend checking out our discussion threads on the POM GEAR Matrix Flat Metal 4400mAh Power Bank P2G-5021CHR, which address similar problems with connecting and setting up Portable Battery Packs POM GEAR. The user manual for the POM GEAR Matrix Flat Metal 4400mAh Power Bank P2G-5021CHR provides necessary instructions for the proper use of the product Computers & Solutions - Power - Portable Battery Packs. 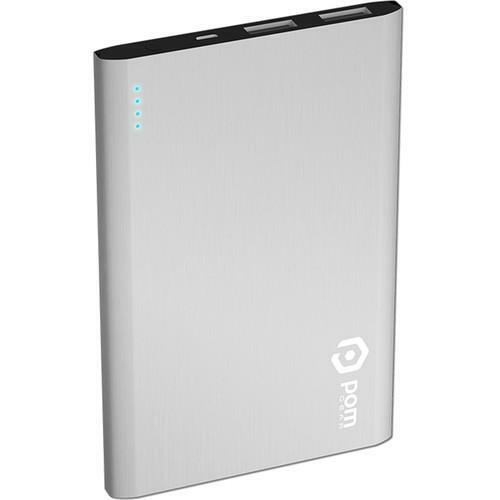 The chrome Matrix Flat Metal 4400mAh Power Bank from POM GEAR has a 4400mAh battery and two USB ports that can charge multiple devices simultaneously. It offers a 1A USB port designed for smartphones and MP3 players as well as a 2.1A USB port that is suitable for charging tablets. To let you know how much power is left in the battery, POM GEAR has equipped the Matrix with four LED power indicators. Furthermore, it includes a micro-USB cable that you can use with your adapter to recharge the battery. Box Dimensions (LxWxH) 7.1 x 5.1 x 1.8"
The user manual for the POM GEAR Matrix Flat Metal 4400mAh Power Bank P2G-5021CHR can be downloaded in .pdf format if it did not come with your new portable battery packs, although the seller is required to supply one. It is also quite common that customers throw out the user manual with the box, or put the CD away somewhere and then can’t find it. 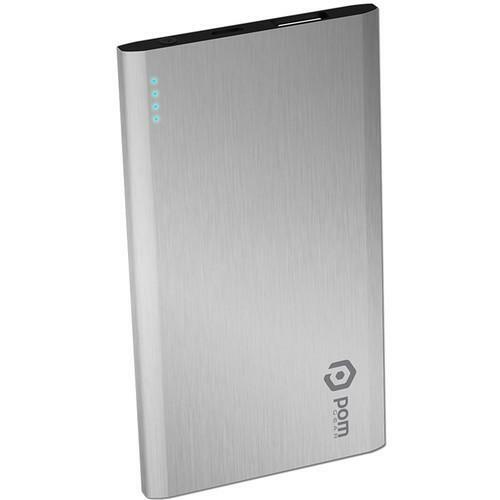 That’s why we and other POM GEAR users keep a unique electronic library for POM GEAR portable battery packss, where you can use our link to download the user manual for the POM GEAR Matrix Flat Metal 4400mAh Power Bank P2G-5021CHR. 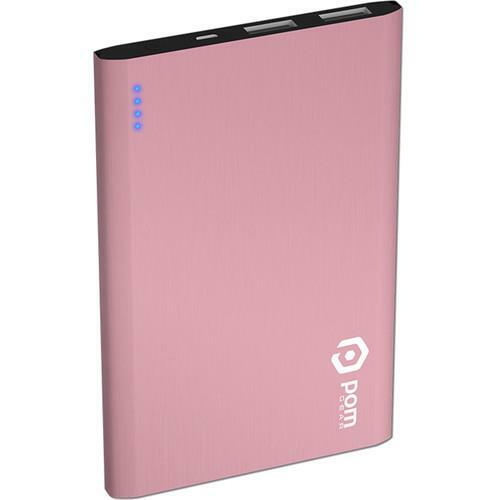 The user manual lists all of the functions of the POM GEAR Matrix Flat Metal 4400mAh Power Bank P2G-5021CHR, all the basic and advanced features and tells you how to use the portable battery packs. The manual also provides troubleshooting for common problems. Even greater detail is provided by the service manual, which is not typically shipped with the product, but which can often be downloaded from POM GEAR service. If you want to help expand our database, you can upload a link to this website to download a user manual or service manual, ideally in .pdf format. These pages are created by you – users of the POM GEAR Matrix Flat Metal 4400mAh Power Bank P2G-5021CHR. User manuals are also available on the POM GEAR website under Computers & Solutions - Power - Portable Battery Packs. Do you know if these products are safe to use with UK voltage levels, or are they only compatible with U.S. electrical outlets? 1. How long should it take to charge up the mobile recharger? 2. Should it be allowed to go dead before recharging it?